Soft Court Tennis Shoes for Clay Courts are required. • Weekly adult clinics (2.0,2.5,3.0,3.5) on specific days and times in the morning and evening. We will focus on fundamentals of tennis as well as improving the technical ability of the members. • Private Lessons will be offered to members and non-members. We will offer 1hr and 1/2hr private, semi-private, and small group lessons. • Cardio Tennis & Fusion Tennis programs will be offered and will incorporate improving tennis specific movements along with a fun cardio work out. • “Tennis Ladies Night” & “Men’s Night Out”. Members will have the opportunity to socialize at these fun nights out. We will play tennis and enjoy light snacks and refreshments. • Inter Clubs with: World Gym and other local clubs. • USTA Team Training – For any adult teams that play out of the club we will offer special training for them that will focus on doubles and singles strategies and offer advice on pairings for matches if asked. Kids private lessons (individual & groups) – offered same as adult lessons both 1hr and 1/2hr. After Camp Tennis program (4-5PM, M-F). • Exhibition Matches, will be hosting a couple Exhibition Matches with great tennis players. • Trip to the US Open will be organized for the members who wish to attend. Whether you are an experienced tournament player or a first timer, private lessons are the best way to improve your game quickly, with the one on one time you need with one of our PTR certified instructors. 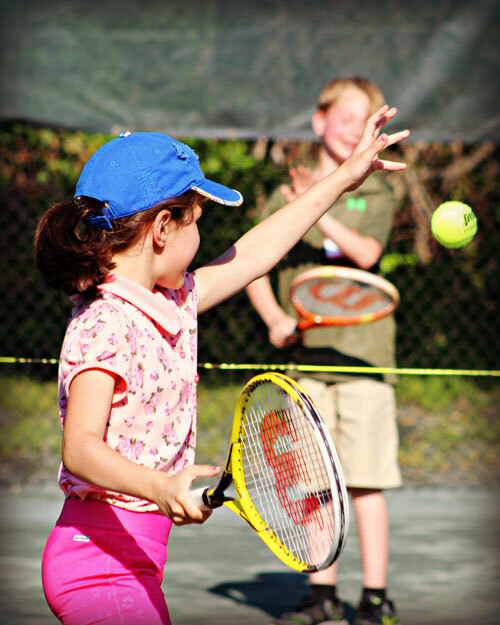 All lessons are under the careful direction of our Head Tennis Professional, Fernando Juguera. Become a better tennis player: bridge the gap between your practice level and match play level. Explore your strengths and build your game around them to improve your winning percentages. Lessons are available for members and non-members. All instruction is under the careful direction of PTR Head Professional, Fernando Juguera. One hour and half hour private lessons are available to members and non-members. Tennis lesson packages are available. Adult and youth clinics are also available. Call the pro shop at 631.285.1815 for availability and prices.